ספר זה ניתן להשגה תמורת דמי משלוח (50ש"ח) בלבד. 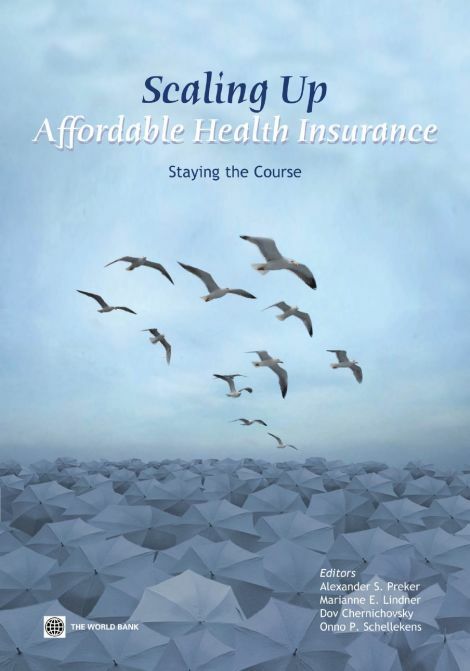 This book takes the reader on a fascinating historical and global voyage of the pivotal role that health insurance played in expanding access to health care and protecting households from the impoverishing effects of illness from the late 19th to early 21st centuries. During the early evolution of health insurance at the end of the 19th and beginning of the 20th centuries, the nascent health insurance programs were initiated by professional guilds and communities that helped their members and households weather the loss of income from a breadwinner or critical member of the family rather than pay for health care itself. When medical interventions became more effective in preventing and treating diseases, the European friendly societies and sickness funds also started to pay for health care itself in addition to the income support they provided to households with sick family members. The state initially played only a marginal role in partially subsidizing premiums for the poor or paying for almshouses and poorhouses. As time progressed, the role of the state in providing health insurance became more prominent, to the point where in some countries, like the United Kingdom and the great experiment in the former Soviet Union, health insurance was—for a period of time—eliminated altogether. In recent years, even such “noninsurance” countries have reintroduced health insurance for complimentary, supplementary, and even primary coverage. Although some developing countries tried to leapfrog this process and introduce national health systems or national health insurance programs without fi rst building the social and physical infrastructure that is needed for such systems to work, most low- and middle-income countries are retracing the historical experiences of Europe, North America, and Australia. I congratulate the contributing authors for the overarching research that went into this volume and the invaluable lessons for developing countries trying to improve health care for their populations. The purpose of this paper is to investigate the extent to which family income and education are obstacles to the provision of adequate diets for young children in the United States. An examination of the Health and Nutrition Examination Survey reveals the following: 1. Average nutrient intakes of young children are well above recommended dietary standards, with the exception of iron. 2. Average nutrient intakes for children in households of lower economic status are very similar to intakes of children in households of higher economic status. Rates of children's growth are also similar in these households. 3. Family income and education of the household head have statistically significant but very small positive effects on the nutrient intake levels of young children. 4. There are substantial effects of protein intakes on children's height and head growth, even though protein is consumed in excess of dietary standards. This finding and the apparent correlation between children's growth and their intellectual development brings to question the adequacy of present protein standards. Could American mothers, who provide very high protein diets for their children in households at all levels of socioeconomic status know more about what constitutes an adequate diet for their children than the experts do?